Each issue of Yank Magazine had at least two or three of what we’d call feature articles as well as smaller articles and special features. I can see why the soldiers looked forward to each issue because there certainly was plenty to read. In this particular issue one of the feature articles is titled “Tito’s Army” which gives us some idea of the wider range of topics Yank covered. Tito, whose real name was Josip Broz was Yugoslavia’s wartime Communist leader. According to Yank the name “Tito” would be equivalent of calling someone “Jack” a bit of nickname more than a name itself. 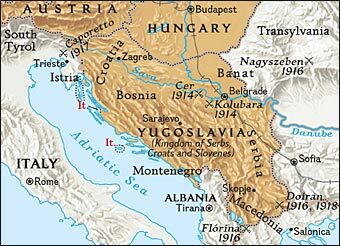 Yugoslavia was a country that emerged from the break-up of the Austro-Hungarian Empire following the First World War. It was a loosely knit composite country consisting of differing nationalities, ethnic groups and religious affiliations. Perhaps the Serbs were the most dominant but Croatia, Slovenia and Macedonia were also part of the emerging Yugoslavia. The area of the former Yugoslavia today except for Croatia which was also part of Yugoslavia before the break-up. 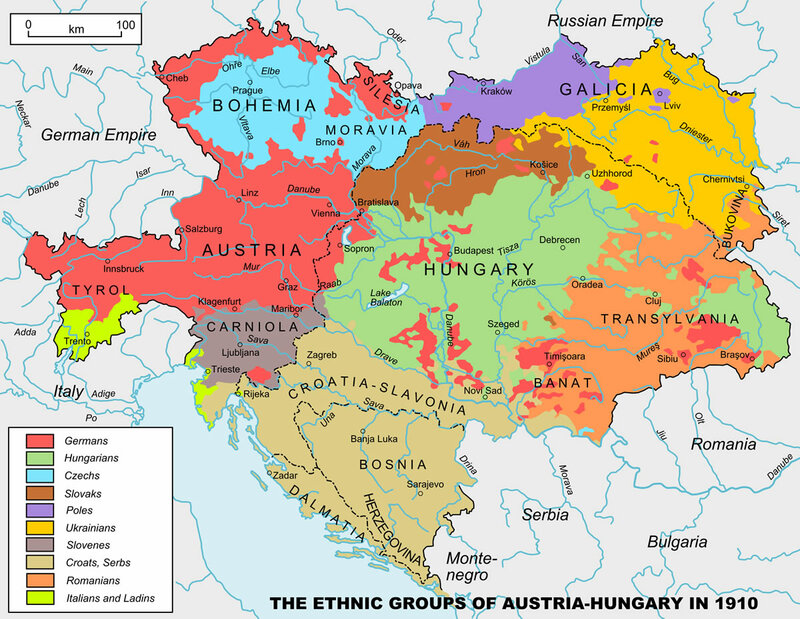 Prior to the Second World War Yugoslavia was pro-Axis (Germany and Italy) and was led by Prince Paul. 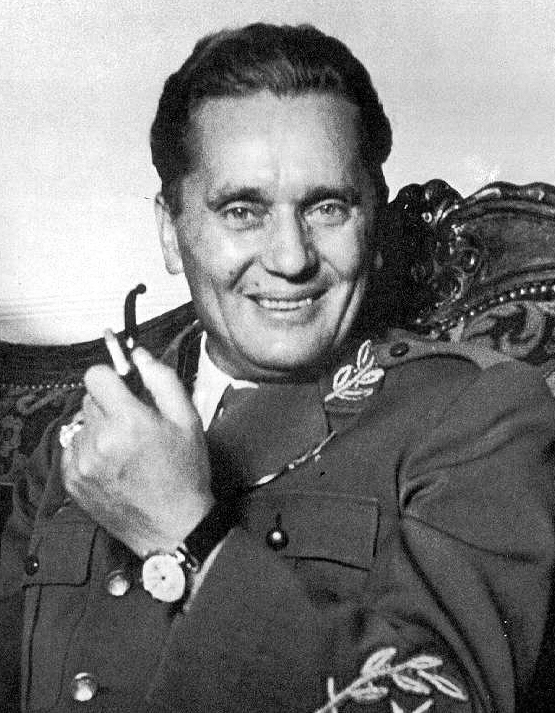 The Yugoslav Army did not approve of the alliance and launched a coup d’état. 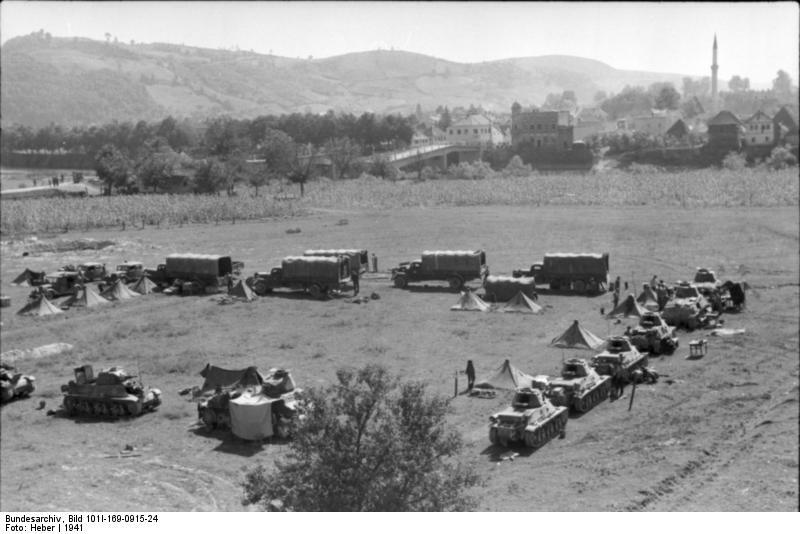 The German flank was thus threatened as well as their plans to invade the Soviet Union so Hitler launched the Balkans Campaign that resulted in the defeat of Yugoslavia in about eleven days. 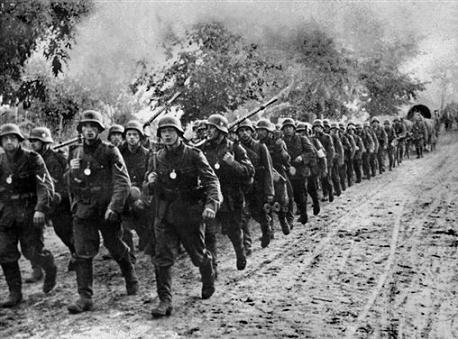 April, 1941 the Germans invade the Balkans. The operation would have serious consequences for Operation Barbarossa. Some historians suggest that the time it took to subdue the Balkans (Yugoslavia and Greece) and then redeploy for Barbarossa (German invasion of the Soviet Union) cost the Germans the war. It’s argued that one more month of good weather in Barbarossa would have meant the fall of Moscow and thus, the Soviet Union as well. It’s debatable but getting tangled up in Yugoslavia most certainly meant a lot of trouble for Nazi Germany and Fascist Italy, hence Tito’s Army. Almost immediately after the Yugoslav surrender a partisan movement sprang up among the Serbs, the Slovenes and Macedonians. Absent were the Croats who were fascist and had their own state under the fascist Ustase government. Under German-Italian protection Croatia thus became its own country which added a civil war dimension to the ethnic groups of Yugoslavia. The article does not mention this often brutal dimension to the conflict in Yugoslavia. While Tito did unite diverse groups he did not unite them all. 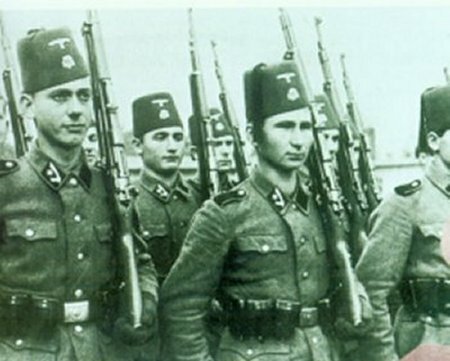 This is a unit of Balkan Moslems in German uniforms. They would fight against the partisans as would the Croats. Whatever the actual number of divisions or partial divisions the partisan war in Yugoslavia was a significant drain on Axis resources. Interesting photo showing the panzer battalion of the 7th SS Division, Prinz Eugen, a mountain division. Most of the German formations fighting the partisan war were under strength and oddly equipped. The tanks in the picture are French taken from France in 1940 and issued to second line formations. Another interesting point about this division is that it consisted of ethnic Germans who came mostly from the Balkans rather than Germany. The article down plays Tito’s Communist affiliations and instead describes Tito as the George Washington of Yugoslavia who formed an Army out of nothing along democratic, people’s principles. Certainly Tito possessed some remarkable abilities and charisma to weld together such a diverse group for a common cause, but the comparison to George Washington is just a bit much in my opinion. As can be expected from a war-time magazine our Yugoslav allies come off rather well. Special notice is given that men and women are equal fighters in Tito’s Army with women consisting 20% of the fighters in some formations. Much is also made of how officers are elected and how there is “an open to criticism” of every action type debriefing. There are two drawings and one photograph in the article. 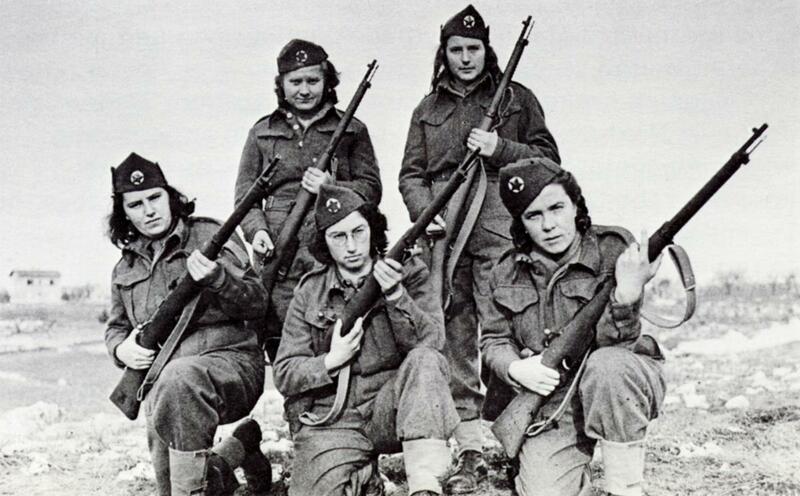 The photograph features four female partisans surrounded by the their male counterparts. All but one appear to be wearing uniforms. Three of the four women wear the distinctive service cap. A large star (presumably red) can be seen on two of the caps. The men on the other hand are wearing what Yank calls “overseas” caps. The caps appear to be of Italian origin or perhaps pre-war Yugoslav Army issue. The article goes on to say how the partisans are armed. Most are armed with captured Italian or German arms although some were receiving British aid by 1944 which included British battle dress and the famous Sten gun. 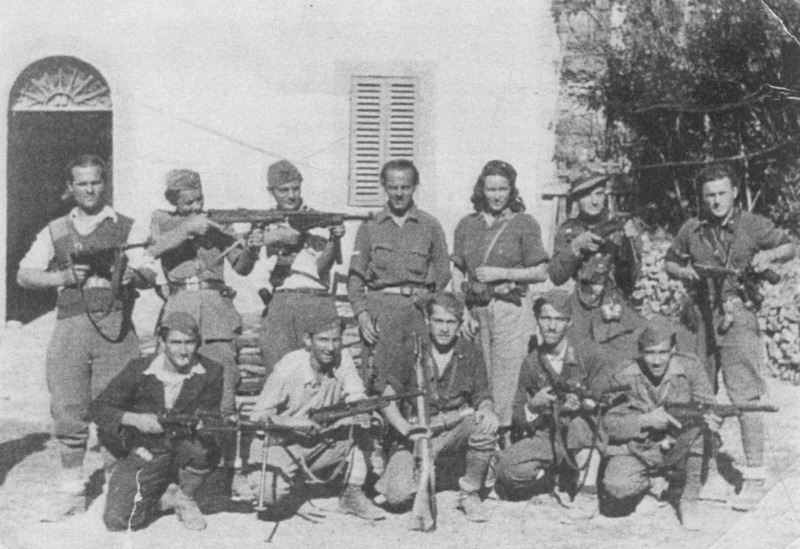 Yugoslav partisans. Captured German weapons are much in evidence. The article gives interesting insight into how the US Army wanted our soldiers to perceive Tito’s Army. Yugoslavia did not long survive the death of its leader in 1980. The area quickly broke up into smaller countries each dominated by whatever ethnic group was largest. The ethnic cleansing in Kosovo in the 90’s was the latest massacre in the area’s troubled history. There are a number of stories of pilot that were downed in this area and rescued by the partisans and guided to safe lines; Tito’s government did nothing to stop these actions – so he wasn’t all bad. Yeah I knew that. Wasn’t under the Russian thumb either after the war. Hope I was fair. Btw, I had an uncle in Korea from the 11th AB- the first composite unit from the 11th and 101st I think. I have his discharge papers but know nothing about his war record. He died in an accident after Korea when I was a toddler so I have no memory of him. If he left no children, you are entitled to his records as sole survivor. There would be other nieces and a nephew. How does one go about getting the records? type in National Archives or Veterans Records. If your relatives agree, you can request them. Josip Broz Tito he is the military & political leader/revolutionary & guerrilla fighter was supported by the United States Russia & Great Britain against Nazi Germany Fascist Italy Chetniks Ustase Balli Kombettar & his collaborators during World War II & became the commander in chief & president of Yugoslavia(1953-80) in world history. Sorry to tell you, but the YANK is wrong. Tito doesn’t mean jack, it lieterally means “You & That” with the verb “do” implied. As in “you do this, you do that”. He kept giving orders by say “You this, you that” which in Serbo-Croatian comes out as tito. Not one Yugoslavinan everynamed their child Tito, which is akin to an American naming his kid Youthat. Yank is a very old magazine and I’m sure they got many things wrong. Never-the-less, thanks for setting the record straight. Some more details about some ethnic groups in Yugoslavia which can help you to understood who was who. Thank you for the link. It was indeed complex and the link does a good job of sorting things out. Thanks for stopping by. A group of political & revolutionary organization mostly composed of ethnic people Serbians Croatians Slovenians Macedonians Albanians Bosnians Jews Muslims & others to formed the guerrilla army force trained by the Allied Forces & the Soviet Union/Russia & Great Britain led by field commander/rebel leader & Communist leader General Josip Broz Tito commander in chief of the National People’s Army of National Liberation of Yugoslavia during World War II & became the national armed forces of Yugoslavia since 1945 after World War II in world history.